Human hair lace front wig and full lace wig are most popular worn by women these years.most of them like to buy wigs online.when received a unit that is not suitable for your head,how can you do with this issue? human hair lace wigs are typically have lace mesh base only around the front hairline or hand tie hair on whole wig lace cap. 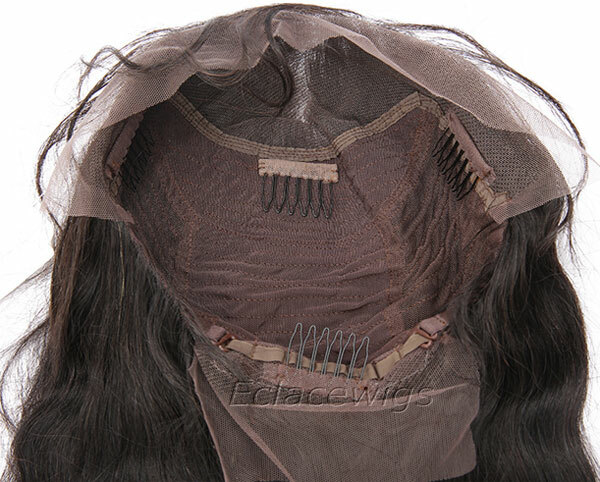 Full lace wig means whole lace cap was constructed with lace base material. 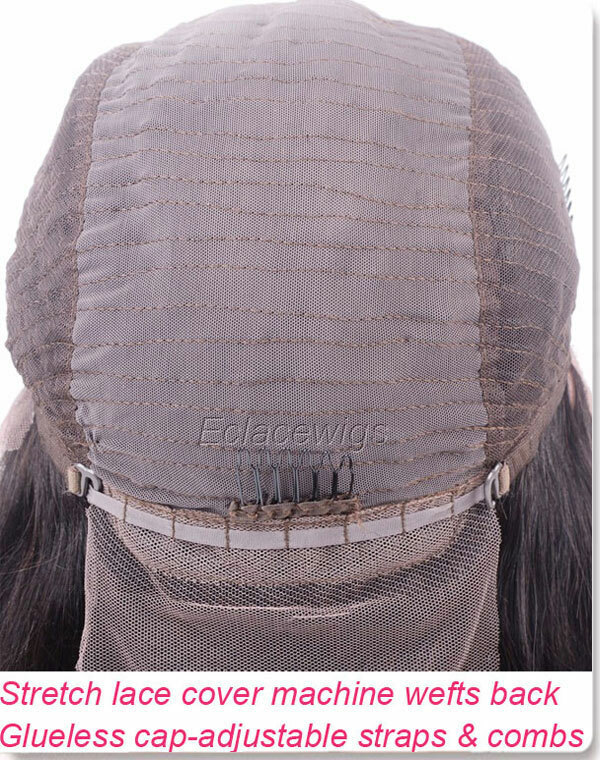 while lace front wig cap only have lace base at front or top area.both such wigs have adjustable straps at back, so you can can adjust the straps if you want to get a smaller or a little bigger size. When wear a lace front wig or full lace wig,you can style it just like your own hair.you can braid it in cornrow or slick is straight.bulkiness natural hair will affect your lace wig comfortable fits. You can secure your hair with a stocking cap or wig liner. This is to create a flat surface on which to apply the lace front wig or full lace wig for an correct size and comfortable fit. Place the lace wig on head to check where the hairline goes around your forehead. find the correct hairline position you like, determine which side is large. sometimes wig caps may be larger around the top, back of both sides of your head. Remove it and turn it's inside out to expose the cap inside. You can adjust the straps at back to get an accurate fitting. If their is not straps on your wig can,you can lift the ribbon below the ear tabs that runs from bottom to top and fold it over. Sew the ribbon to the wig cap with a needle and thread that matches the color of the lace. Put the wig on head now to check if it fits well. If the lace front wig or full lace wig is still too large or a little smaller, just adjust the straps at back or the ribbon to let the circumference smaller or bigger. For the normal motion for your head,you should leave enough room. Since high quality human hair lace wigs can cost hundreds of dollars, you can also make it bigger or smaller by a professional stylist if you don't like to do it by yourself.